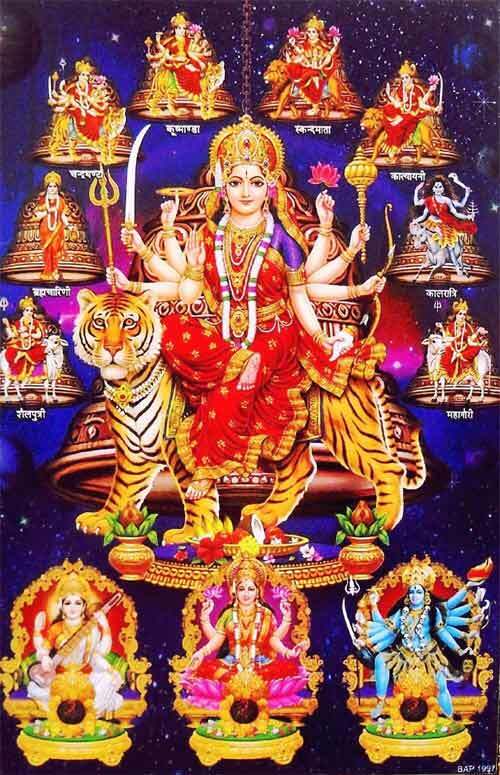 Devi Mahatmyam, which means the glory or the majesty of the Devi, extols the greatness of Durga in 700 Slokas. It is found in the Markandeya Purana – Chapter 81 to 93. As it consists of 700 hymns, it is also known as Durga Saptashati. This particular english text is a translation of Devi Mahatmyam. This particular Devi Mahatmyam for download for free was once uploaded to Geocities but as the site is now closed we are publishing the same again. You can read it online also download it if you have pdf reader installed. Devi Mahatmyam is also referred as Chandi Patha or Candi Path and it details the exploits of Mother Goddess in her three major forms – Maha Kali, Maha Lakshmi, and Maha Saraswati, which symbolically represents strength, wealth and wisdom.